Carpets and floors are the easiest things to get dirty inside one house. And they require a lot of maintenance which you might not be always able to provide. So to avoid looking for spare time to do carpet cleaning and instead hire professionals for the job, check our company out. 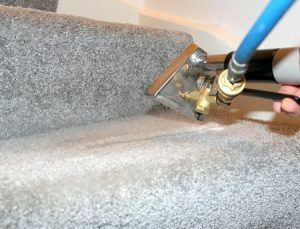 We provide excellent carpet cleaning in Primrose Hill, the NW1, NW4, NW8 districts, and many other areas in London. We do excellent work for every single customer we get. Check out our services by calling us up on 020 3322 8944. We will give you all the details you need so that you can make the right choice. Make no mistake, when you call us, you get the help of real professionals. We hire only the most promising talents and turn them into well-oiled machines. Our carpet cleaners take The Top Carpet Cleaning company to the top of the service charts in Primrose Hill. They always come on time, they always do just as the customer wishes, they always provide the desired results. Our cleaners are friendly and they mirror what our customer service does for all our callers – they help the customer in any way they can and answer all questions. They also use environmentally friendly means of cleaning so you will not have to worry about any toxins seeping into the fabric of your carpets. We do good and thorough work, and we do it the healthy way. With all the rest of the carpet cleaning services in Primrose Hill, one might be challenged to find the better option when it comes to prices. We assure you, though, that we offer top quality cleaning services at affordable prices. Come and see all the excellent deals you can get here and see the numerous ways you can get a discount on every one of them. We have services for everybody and we keep them reasonably priced. Call 020 3322 8944 and ask for our special deals to see all the surprises The Top Carpet Cleaning company has for you today. Primrose Hill is part of the London Borough of Camden and is located near the heart of London, just outside Regent’s Park. It overlooks the entirety of central London, as well as other excellent areas such as Belsize Park, Camden Town, Hampstead, and Swiss Cottage. This hill is quite the venture for tourists as here they can see all the prominent residents of the region and of London as a whole, since this is one of the most expensive housing places in the capital. Here one can find the Hill Trim Trail, a great outdoors gym which neigbours a children’s playground, as well as the Primrose Hill bridge, which can take visitors from Regent’s Park to the London Zoo. Our carpet cleaners are ready to show you why we say we provide the best carpet cleaning in Primrose Hill area. Simply give us a call on 020 3322 8944 for more information.